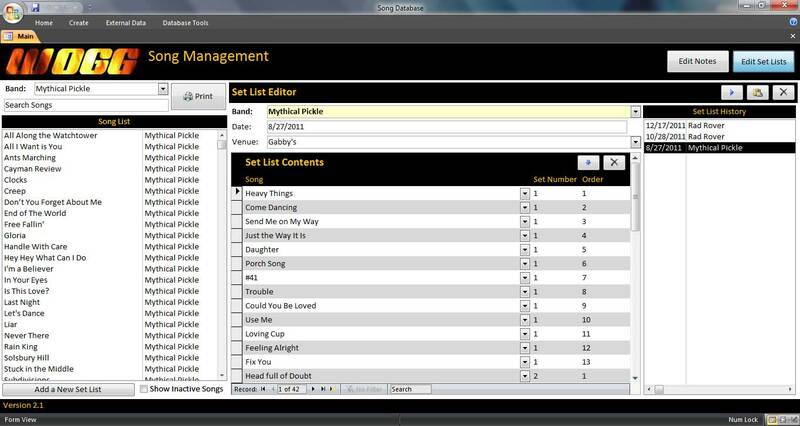 This Access 2007 based database keeps all your song notes and allows you to generate and save set lists for shows. 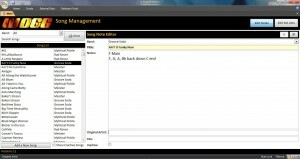 Manage multiple bands and huge lists of songs easily! 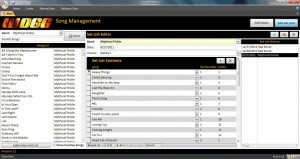 This system was created for my own use while juggling multiple bands with huge song lists. 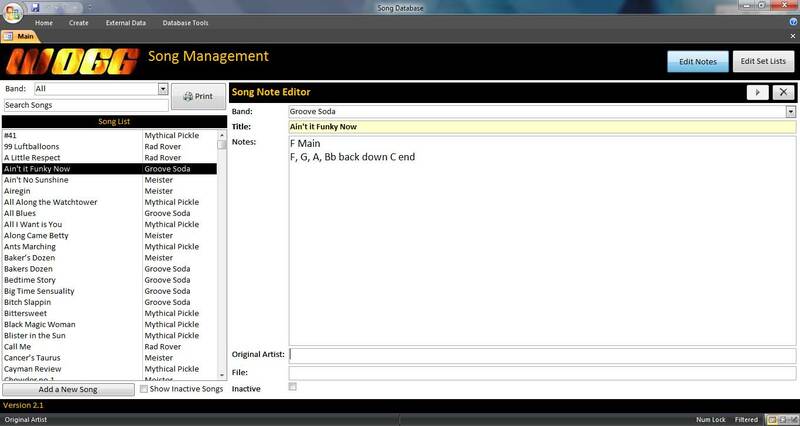 The free form notes section can accommodate any type of text. In my case, I tend to list key changes in a shorthand form for each part to jog my memory on stage. The one click play is useful for practicing your material or hearing how your set list will flow. There’s no official documentation or support for this application, but feel free to download and try it out. The application installation will required Access 2007 on your PC, but if you don’t have that it will prompt you to download and install the free Access 2007 run time environment from Microsoft. If you prefer an all in one download with the Access Runtime application included, try this one instead. Check out the screen shots!